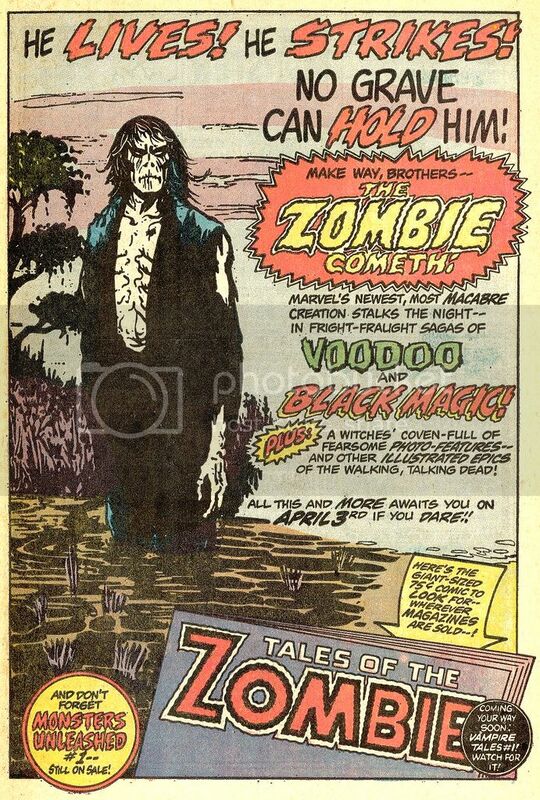 Share your #2 favorite classic comic horror character here. Be sure to include an explanation and (preferably) an image to justify your selection! 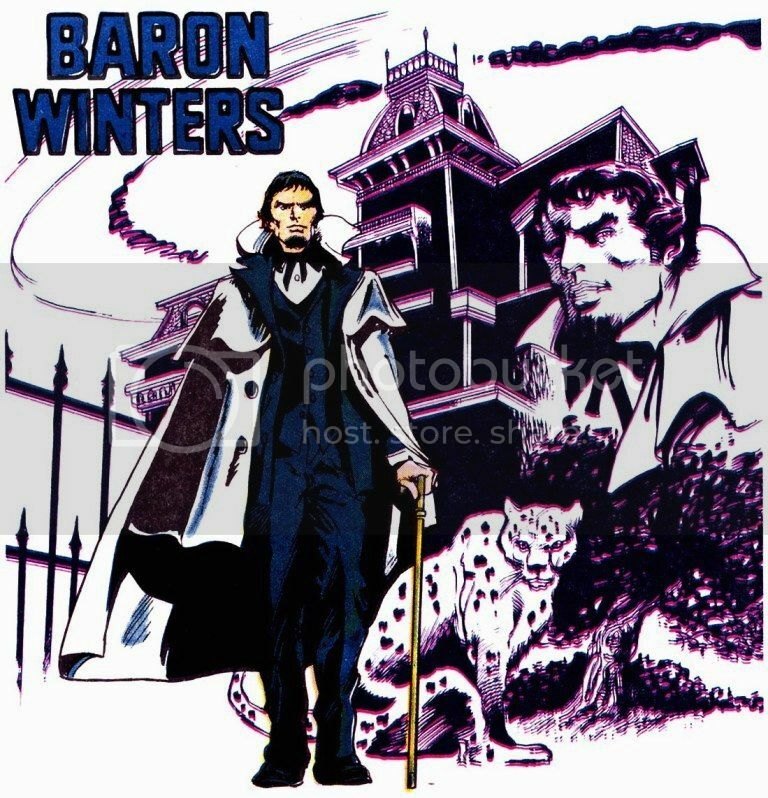 An exercise in contrasts, Baron Winters was the mysterious framing device who was also the lead player, trapped in his own home yet able to transport to any place and time, every word out of his mouth a lie, and yet someone you implicitly sensed you could trust with your life, and most importantly the lovable benevolent that everyone wanted to punch and/or kill with good reason. Winters was a riddle wrapped inside of an enigma, and while I didn't love Night Force as a work itself, Winters and his home were brilliant concepts that deserved more time on the page. 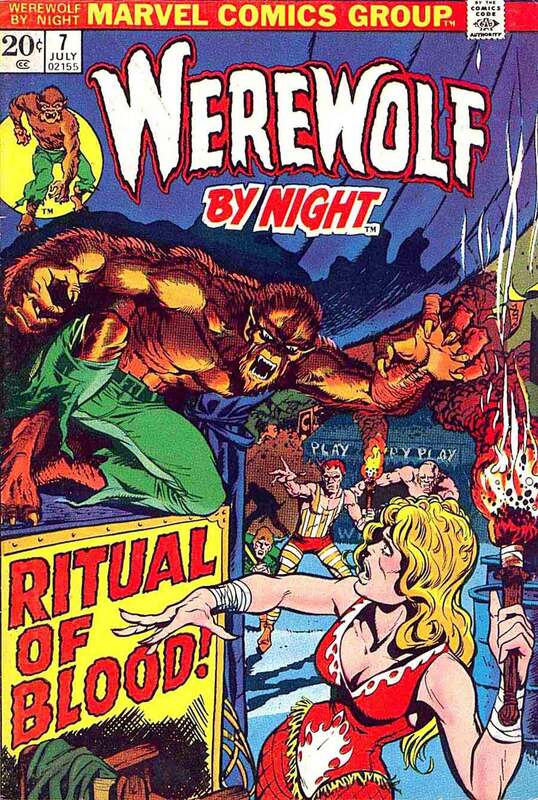 I think Wolfman and Colan just needed another year to really find the center for that series. Men call him....The Phantom Stranger! ...and I was hooked. The sense of mystery and intrigue about him was so compelling to me. I quickly sought out issues of his series (they were cheap then) and assembled nearly the entire run, devoured everything I could get with him in it (he brought me to Moore's Swamp Thing) and the Kupperberg/Mignola mini as well. Part horror host, part supernatural tour guide, part humble powerhouse, there were so many different stories you could tell and few ever tapped the full potential of the character. I absolutely despised what DC did with him in the new52, stripping him of all the mystery and intrigue and tying him into the Iscariot legends just missed everything that was appealing to the character, settling him down and making him a closet family man was even more utterly unfathomable (even J.M. DeMatteis whose work I mostly enjoy a lot couldn't save that wretched misstep by Didio). 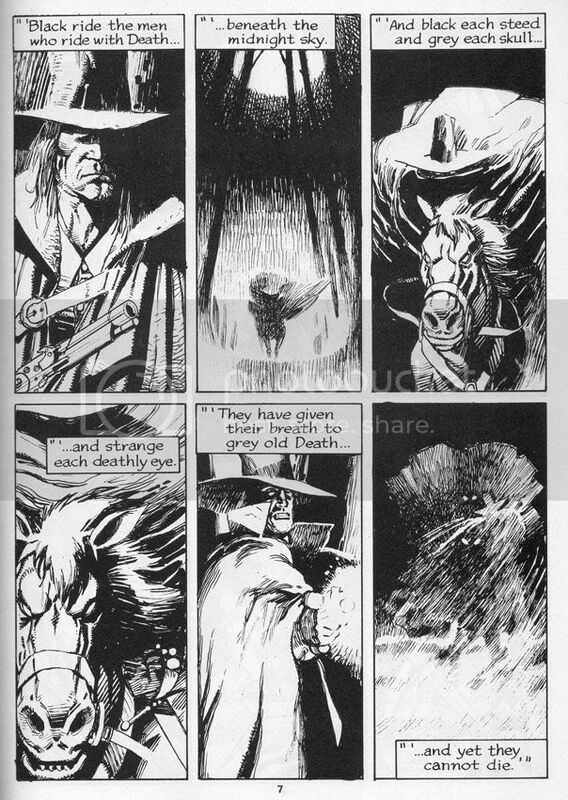 But in terms of his classic appearances, and stories, the Stranger is among my absolute favorites. Up now for my #2 choice and your horror edification i present the Addam's Family as drawn by Gahan Wilson. 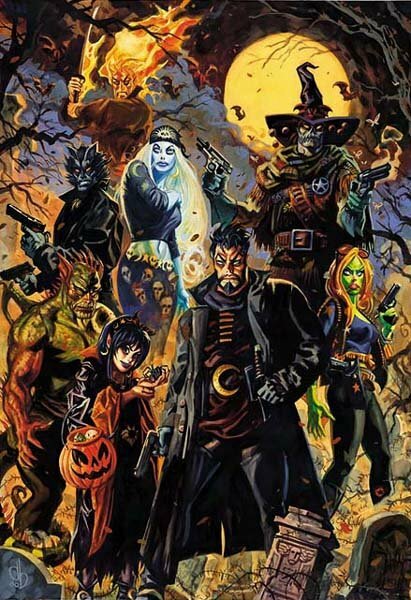 This all together kooky and spooky familial group was a special treat when i could find them during my youth. The dark humor, the gallows humor, the very exquisite squiglyness of it all. Wilson captured a gothic silliness which was also shed it's pale yellow moonlight lighting upon the bright sunny disposition of the world. Whenever i found any Addam's cartoon's in any magazine or collected format then i was quite the happy little ghoul. Is there anybody who doesn't recognice Gomez, Morticia, Uncle Fester, Wednesday and Pugsly and Lurch? They are so successful as to become television stars, movie stars, animated cartoon stars and even been made into a musical play! Snap your fingers, do the tango and become an extended member of this frightfully funny family of oddster's! I always preferred The Munsters, myself, but I've never read any of the comics. My 8 year old has been enjoying the Dell Bewitched comics recently, but that's a little further outside of the horror genre. I don't recall Gahan Wilson ever drawing the Addams Family. When did he do that? Thanks Slam for the correction!, This is where the old brain gets confused at times! I meant Charles Addam's. Both are of a similar vein (hehehe) and over the years have merged within my memories. But it is the Addam's family in the forefront of my misbegotten mental lobe! I guess I'm just a Bronze Age Ploog fanboy. 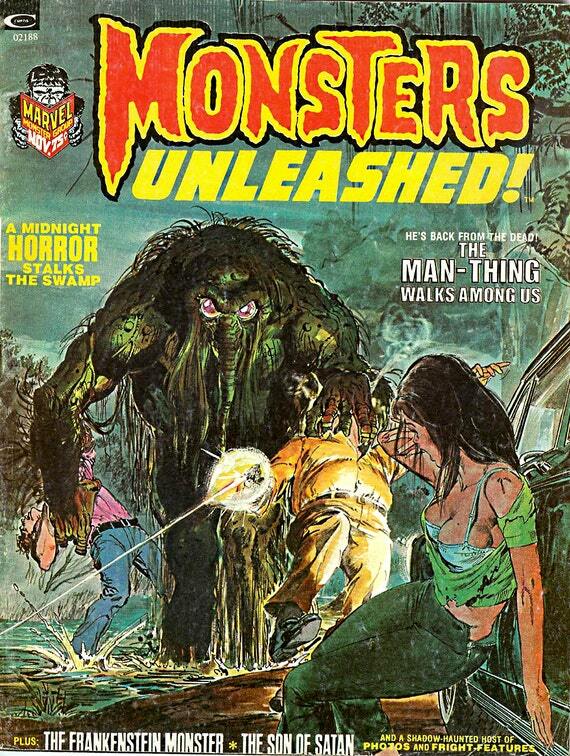 I was exactly the right age for the Marvel horror boom. 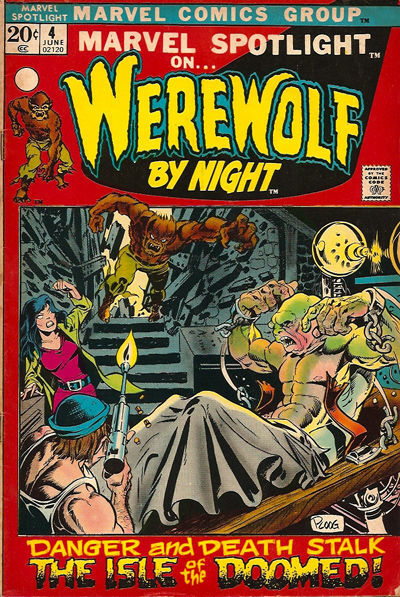 This was the first Mike Ploog work that I ever saw, and I was hooked from the start. 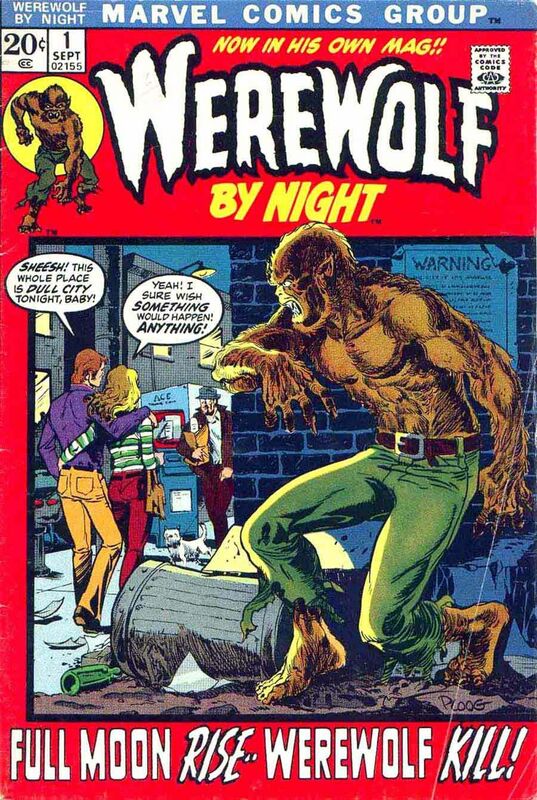 He didn't do the cover on the first Werewolf story, but he did most of them for the next year or two, as well as the interior art. 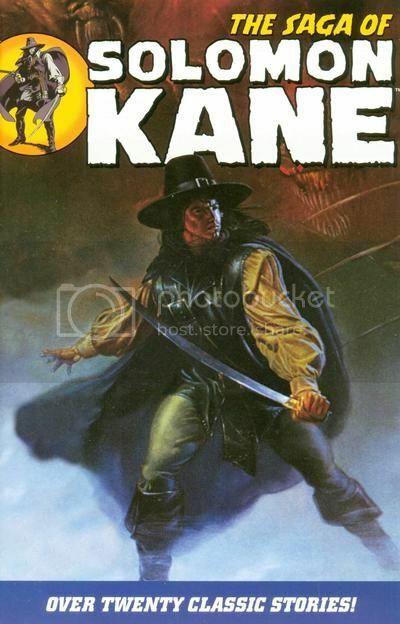 It is no secret that Solomon Kane is my favourite Robert E. Howard character. 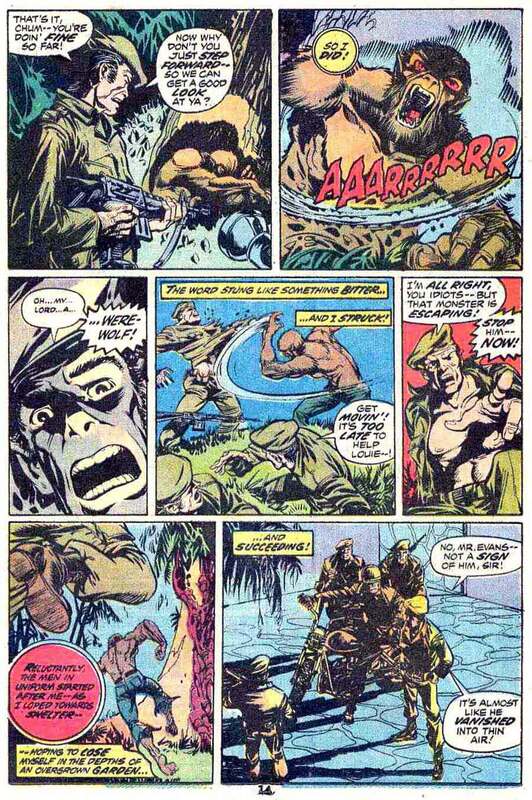 Unlike many of Howard's other creations, Kane has had a somewhat lackluster career in comics. 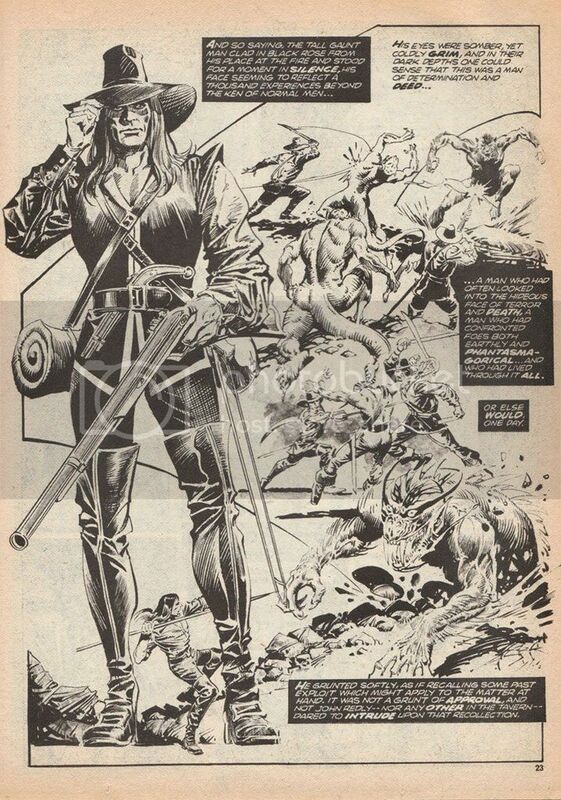 However, when Marvel had the rights to the Howard canon, they did run short Solomon Kane stories as back-up features in some of their b&w fantasy and horror magazines (The Savage Sword of Conan, Kull and the Barbarians, Dracula Lives, Monsters Unleashed, Marvel Preview, Conan Saga). These stories were a mix of adaptations of existing Howard tales, and new pastiches. Being in non-code books, these tales could have the darker tone that the Kane stories require. As with any series done by multiple hands (especially those written as short filler stories), there are some misfires. "Cold Hands of Death" is particularly disappointing, as the usually reliable Don Glut gets Solomon's personality completely wrong. But the best of the pastiches are worthy of Howard himself. "Shattered Innocence", "The Dragon at Castle Frankenstein" and "The Silver Beast Beyond Tonkertown" are all excellent. So why do I love these stories? 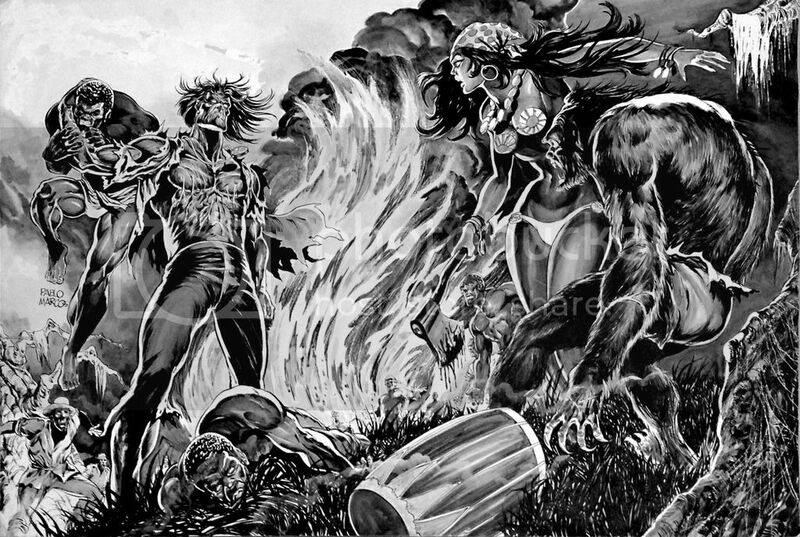 As I said, Solomon Kane is my favourite REH character. So the opportunity to have some new stories that capture the essence and feel of the original tales? Priceless. Some things just push your buttons. 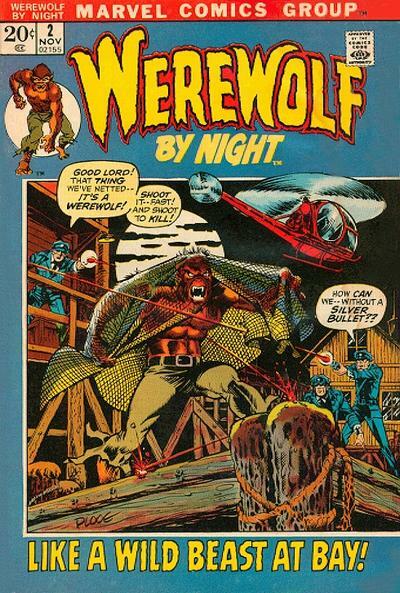 When I started reading comics in 1971, I was really more a monster fan than a comic book fan. I bought comics to satisfy my monster fix. This was something I had to have! The logo, the character design, the very concept thrilled me! 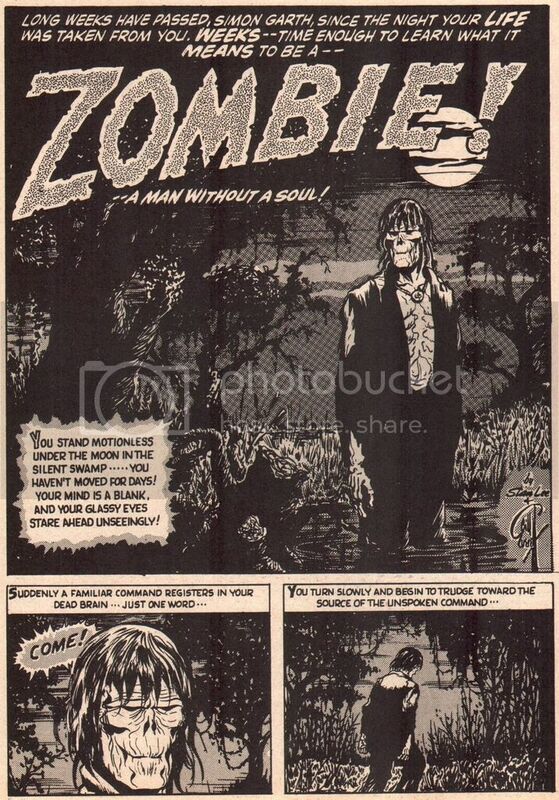 I wasn't sure how you could make a zombie into the star of a comic book, but man, I wanted to see them try! I've always been a sucker for off-beat ideas, and this was undoubtedly going to be one. ...and I was not disappointed! This comic was fascinating--Steve Gerber managed to imbue this ongoing saga of a cursed corpse, at the control of whoever held the matching amulet of Damballah, with humanity, pathos, and chills. Some time later, I found a copy of the first issue, and was delighted to learn that it was spun out of a reprint of an old Atlas story. For some reason, I always loved the idea of taking this kind of long-forgotten one-shot concept and turning it into an ongoing epic. 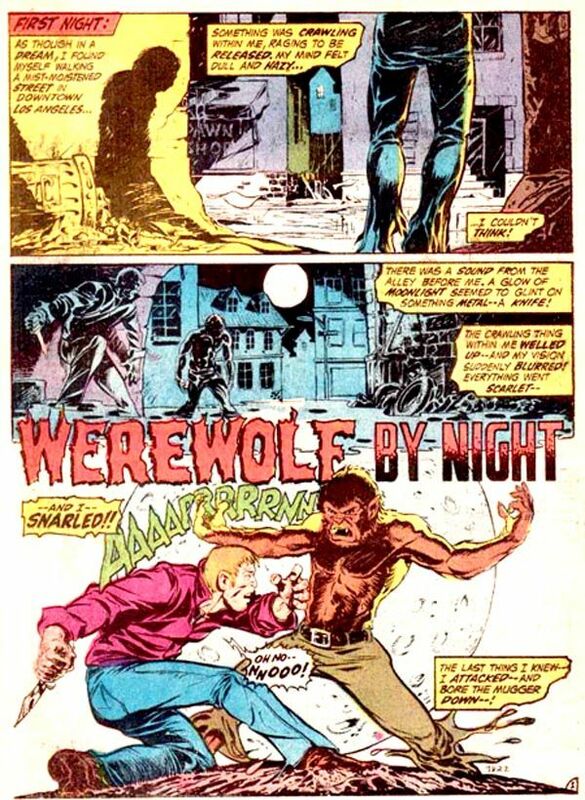 So, apparently, did Steve Gerber. 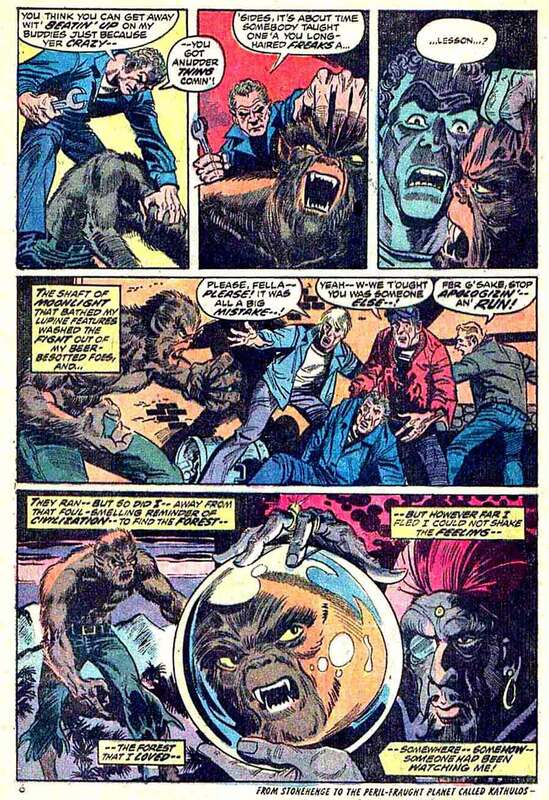 He wasn't responsible for initially converting Bill Everett and Stan Lee's short into a continuing series, but he did something similar with Defenders villains the Headmen. I didn't get to enjoy the Zombie for long. 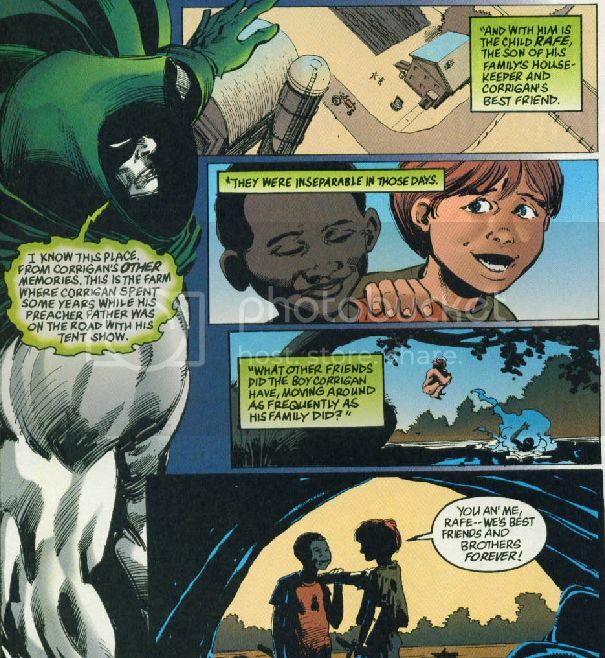 Far too quickly, the end came for the comic and for Simon, in the touching finale, written by another favorite, Tony Isabella. Simon returns to life for 24 hours, setting this straight as best he could, before passing on to his final, well deserved eternal rest. I hated to see it end, but I was glad to see it end so well. 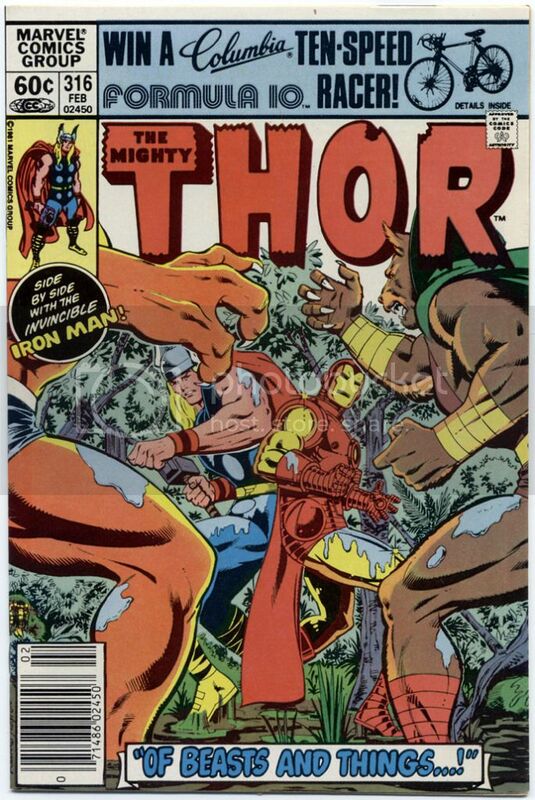 With any other Marvel comic, I could have expected a quick revival (and indeed, one was scheduled for the never-published issue 11), but the Comics Code insured that this wasn't going to happen in Marvel's color comics, and their B&W comics were being pared way down. 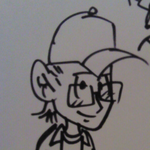 So I made my peace with the end of Simon Garth, who had so quickly become one of my favorite horror comic characters. 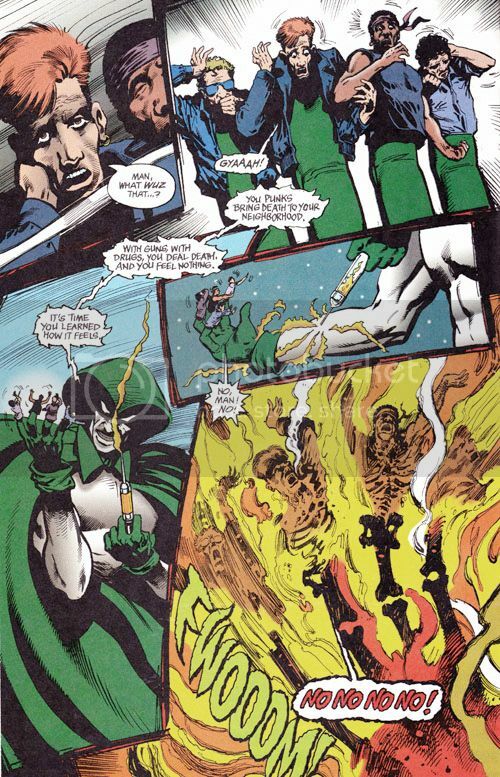 Jim Corrigan AKA The Spectre. This could easily have been my number one. Corrigan got placed here, at least in part, due to external reasons. This is mostly due to the amazing work of John Ostrander and Tom Mandrake, who tuned in one of the absolute best comics of the 90s with their work on The Spectre. Though it also is due to the work of Fleischer and Aparo on Adventure Comics, one of the more chilling code approved features. And when I say Corrigan I mean it. Corrigan is much more interesting than The Spectre and they are somewhat distinct from each other. Ostrander and Mandrake give us a man who needs to make a journey to understand himself. And at the conclusion he gets the opportunity for closure from that understanding. But along the way...there's some pretty horrific stuff. Which is interesting in itself because most monsters have to put in work to scare you. The job usually requires lots of blood, killing people, etc. But not for Man-Thing. He just has to stare at you. 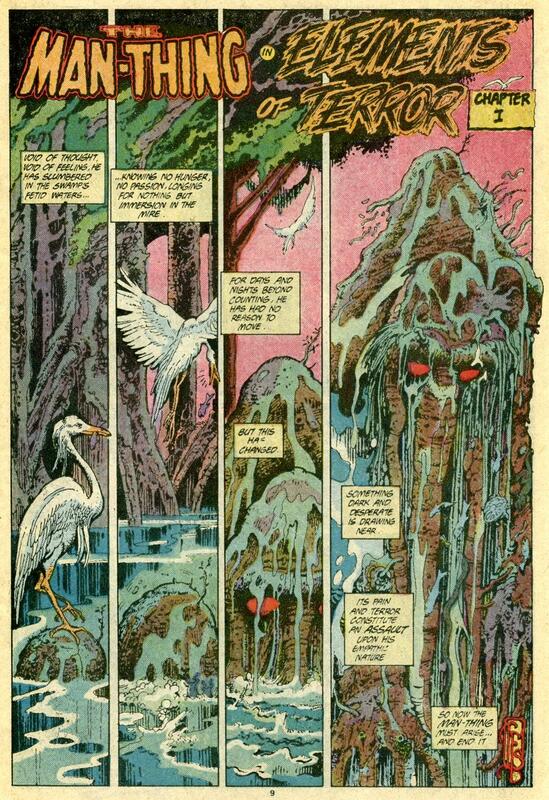 Then there was the stories found within the Man-Thing comics themselves, like "Night of the Laughing Dead" in issue #5 where a clown seemingly commits suicide right in front of your eyes. This was probably the first time I ever saw a person (let alone a clown of all things) put a gun to their head followed by a four-colored BLAM! 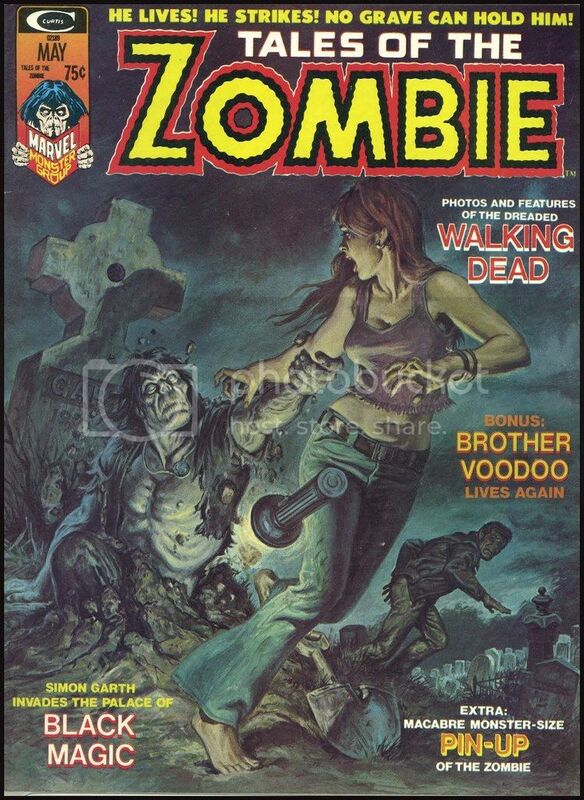 And would you believe they made a Book and Record set of this issue? It's true, my older cousin had it. We all sat up in his room and he played it during a family event. I was only six and completely terrorized that evening. Thank you Scott!